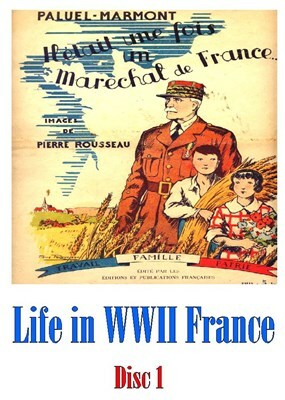 This two-DVD set concerns everyday life in Vichy France. The first film is entitled, THE SORROW AND THE PITY. 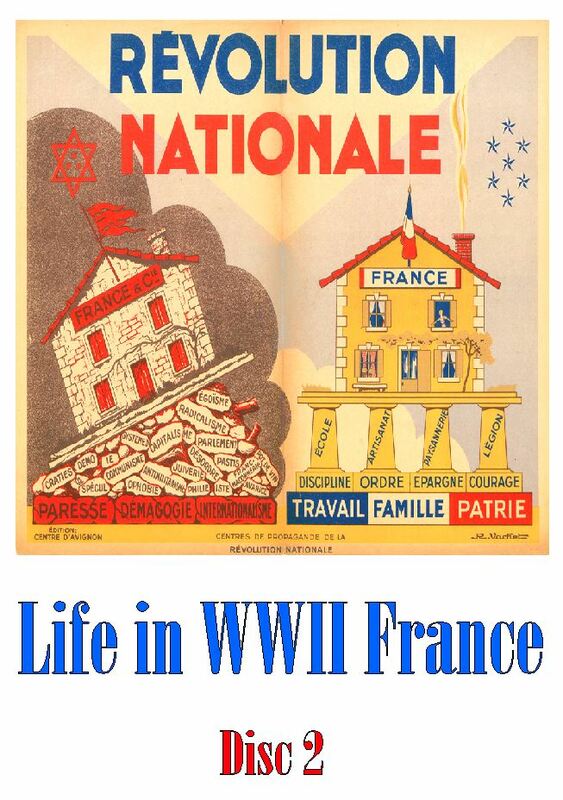 From 1940 to 1944, France's Vichy government collaborated with Nazi Germany. Marcel Ophüls mixes archival footage with 1969 interviews of a German officer and of collaborators and resistance fighters from Clermont-Ferrand. They comment on the nature, details and reasons for the collaboration, from anti-Semitism, xenophobia, and fear of Bolsheviks, to simple caution. 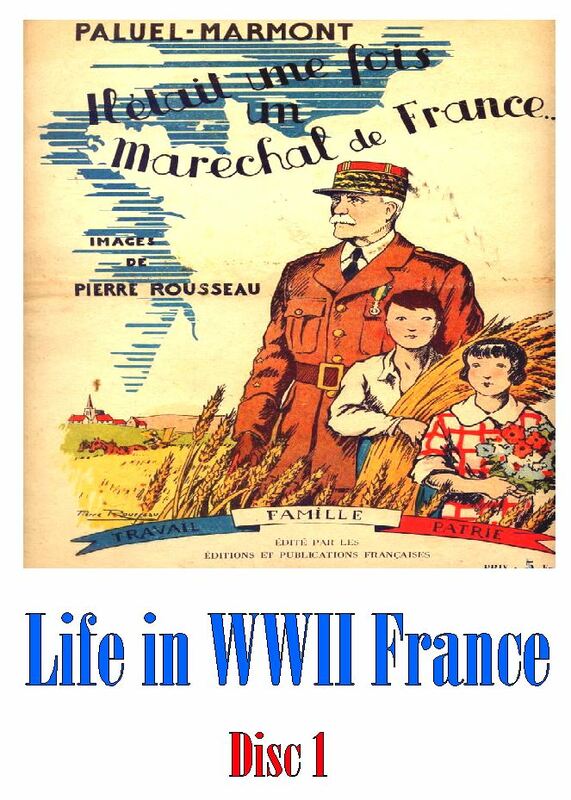 Part one, "The Collapse," includes an extended interview with Pierre Mendès-France, jailed for anti-Vichy action and later France's Prime Minister. At the heart of part two, "The Choice," is an interview with Christian de la Mazière, one of 7,000 French youth to fight on the eastern front wearing German uniforms. The second film, THE EYE OF VICHY, consists only of archive pictures: the official newsreels that were broadcasted on French movie screens during 1940 and 1944 (the Occupation). Those newsreels were controlled by the government of Vichy, which collaborated with the Nazis, so most of them are propaganda. Their purpose is to show what the disinformation was then, and perhaps more generally to evoke the problem of the power of the mass media. APPROX. 360 MIN. (6 hours). VERY GOOD QUALITY. MOSTLY IN FRENCH WITH ENGLISH SUBTITLES.